Then-chemical engineering student Scott Manguia wanted to solve some of the world’s pollution problems. Seven years later, a Mexican company that he created is converting avocado pits into plastic that is 100 percent biodegradable. That’s an achievement well on track to achieving his lofty goal. Scott now runs a company called Biofase. What they do with the least useful-seeming bio-waste that you can imagine, avocado seeds, is simply genius. They went from producing plastic resin to plastic cutlery; they recently started making plastic straws—all of it from discarded avocado pits, and all of it completely environmentally safe. Para muchos, la semilla del aguacate es un desecho. Para nosotros, es una oportunidad. Going back to the idea’s inception, in 2012, when Scott was still an engineering student, he was searching for a reliable source of biodegradable plastic—which would go a long way towards solving some of the world’s waste issues. He was testing the properties of various materials: mango pits and sapote seeds etc. He happened to spot an image in a paper he was reading of a corn molecule that was being used to create bioplastic. That’s what gave him the idea of using avocado seeds in a similar way. And that was how Biofase got its start. It took a year and a half for Scott to come up with a means of extracting chemical compound from the waste seed. 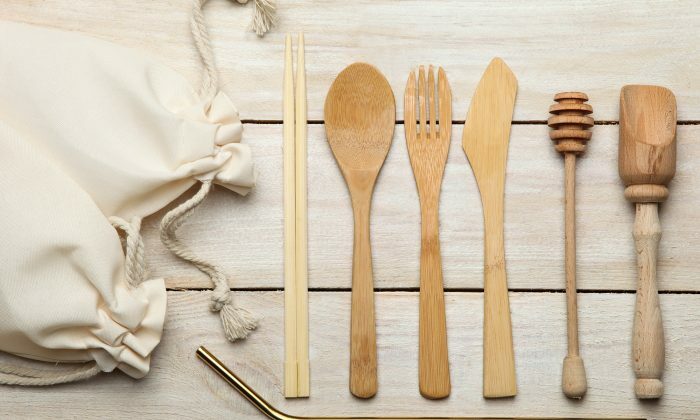 Once the biopolymer was isolated, they were able to shape it into any form, forks, knives—just like plastic. What made this type of plastic special, though, was that, whereas regular plastic can take 100 years to biodegrade, the plastic made from the avocado seed only took a few months—240 days of exposure to the elements or being buried in the earth. මෙක්සිකානු සමාගමක් අලිගැටපේර බීජ වලින් ප්ලාස්ටික් රහිත හැඳි ගෑරුප්පු සාදයි.This Mexican company makes plastic-free cutlery from avocado seeds. By 2013, the process had been patented. Biofase started up their first plant two years later. At first, they just sold biodegradable plastic resin as raw material. In 2016, they had a second plant up and running, where they started making bioplastic cutlery. Last February, they started making plastic straws. In the process of running a company, Scott soon learned that customers were reluctant to pay more for an environmentally friendly product. Typical bioplastic costs 40 percent more than normal, petroleum-based plastic. Yet, where bioplastic made from food-substances (corn) costs more, Biofase’s waste-substance-based (avocado seeds) products greatly reduce cost. This, according to their video, allows them to produce “at the same price as regular plastics.” This makes Biofase a true alternative, both economically and environmentally. Todos nuestros productos nacen de la semilla de aguacate, el biopolímero que le da vida a #Biofase. Buscamos un México más limpio y verde, por eso hemos desarrollado una nueva linea de productos biodegradables hechos con nuestra tecnología patentada! Mexico produces half of the world’s avocados with more avocado seed waste than anywhere else. Most of which end up in landfills. Meanwhile, the current global market for bioplastics is $5.8 billion, according to Bioplastic News. Today, Biofase produces 130 tonnes of goods, 40 percent of which are straws. Each day, they use 15 tonnes of avocado seeds, which they get from Simplot, a U.S. food company. Their products are sold to restaurant chains such as Chilis’s Bar and Grill and Fiesta Americana. Mexico is their second-largest market, while 8 percent of their goods are exported to countries like the United States, Canada, Costa Rica, Peru, and Columbia. So, it looks like Biofase appears to be off to a good start. If the global market picks up steam more broadly, it can be a plastic-waste solution the whole world can celebrate.